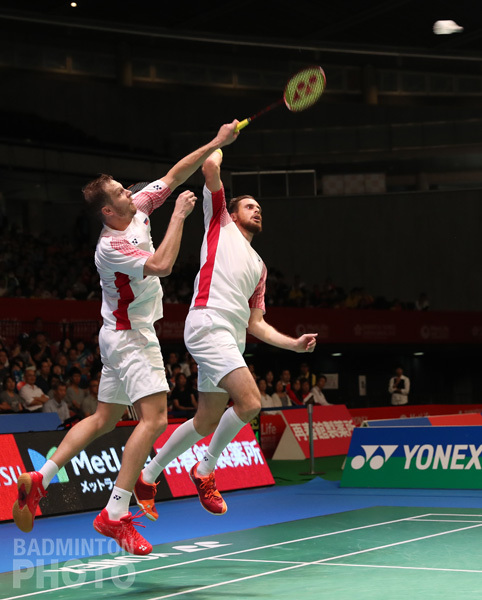 The Superseries heads to Hong Kong for the final event where players will have their last chance to score points toward qualifying for the Superseries Finals in Dubai. In one way, the China Open was eventful in terms of the race to qualify for the season-ending, million-dollar Superseries Finals in Dubai. An additional 12 players and pairs mathematically clinched their spots for the December event, nearly equalling the 14 whose places had been secure after the French Open in October. Those earlier 14 included the 5 World Champions, whose qualification was automatic. 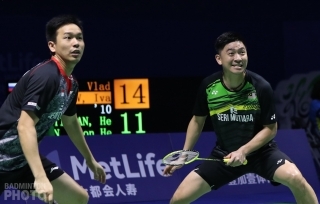 The new certainties were most numerous in the mixed doubles, where 5 additional pairs confirmed their Dubai spots, while women’s doubles was the only discipline where all the spots that were in limbo after Paris remain so following the China Open in Fuzhou. The other major change was in the sizes of the chase packs, the biggest being a halving in men’s doubles from 13 to 6. On the other hand, a mere 2 of the 40 tentative Dubai tickets changed hands in Fuzhou. One in men’s doubles and one in women’s are in different hands now and both pairs remain in a very precarious position going into the Hong Kong Open next week. 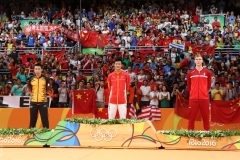 Men’s singles remains the most wide open of the five disciplines. As in men’s doubles, the number of players with a mathematical chance of moving into the top eight decreased by 7 but the chase pack remains a healthy 10 shuttlers. 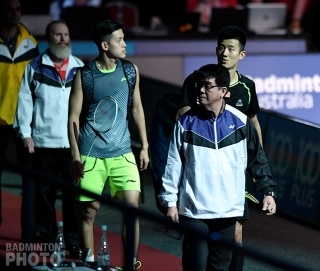 This number is likely to be cut quite quickly as Wong Wing Ki appearing on court for his home Superseries event, will make it a mathematical impossibility for an additional 4 shuttlers to qualify, including former champion Lin Dan. 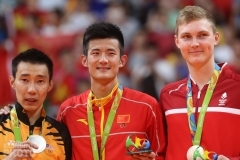 Only Son Wan Ho and Chou Tien Chen (pictured below) clinched their spots last week but China’s Shi Yuqi will join them the moment he steps on court in Hong Kong. 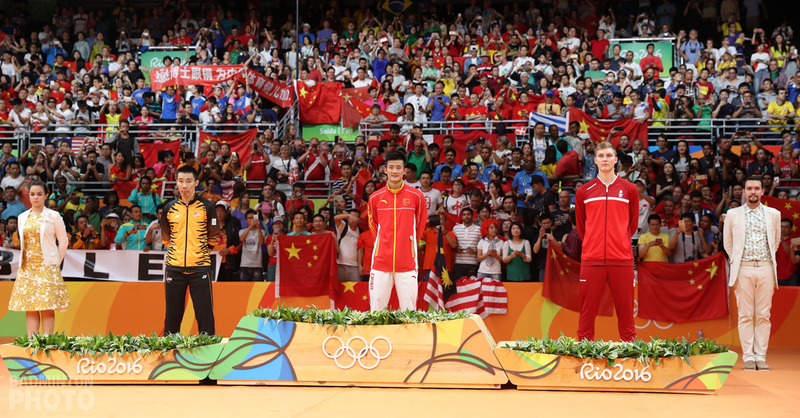 The big story in men’s singles is the surge by new China Open champion Chen Long. His 11,000 points from Fuzhou place him within a victory of current #8 Wong Wing Ki (pictured above). That’s a far cry from languishing down at #20 in the standings after the French Open. Women’s doubles has only three pairs who have mathematically clinched their Dubai spots but of the top 3 pairs, all of them from Japan, we know that two will qualify. But even with a 4,000-point cushion, Shiho Tanaka / Koharu Yonemoto (pictured below) can’t relax until they’ve reached the semi-finals in Hong Kong. This discipline also has a much smaller chase pack than men’s singles, with 6 pairs vying for the bottom 3 spots and 2 of those about to leave the race as soon as Korea Open champions Huang Yaqiong / Yu Xiaohan step on court in Hong Kong. 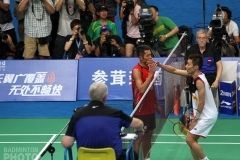 Huang and Yu were the first of only two pairs across all 5 disciplines to effect a change in the top 8 bound for Dubai. The moment they won their first round match in Fuzhou, they inched past India’s Ashwini Ponnappa / Sikki Reddy but they were unable to do much to consolidate that position. The pair in the most precarious position remains Korea’s Jung Kyung Eun and Shin Seung Chan. They have continued to slip since they stopped playing together after the Japan Open and if 3 pairs pass them this week in Hong Kong, then only one Korean pair will be qualified for Dubai. The trick is that exactly 3 pairs have a shot at passing the Koreans and it won’t be easy. Huang/Yu would have to reach the final, Ponnappa/Reddy the semi-finals, and while Chinese Taipei’s Hsu Ya Ching / Wu Ti Jung (pictured above) need only one win, that first win would have to be against Shin Seung Chan herself, in a new pairing with Macau Open finalist Lee Yu Rim (pictured bottom). If any of those 3 pairs fail to catch the Koreans, they will also find themselves in danger of being caught by the likes of French Open winners Greysia Polii / Apriyani Rahayu. The Indonesians have certainly proven they have what it takes to surge to the finish and they may be quite motivated to do just that when there is a Dubai ticket on the line. Men’s doubles may have one of the smallest chase packs but it also has 3 Dubai tickets up for grabs and only one of these will be confirmed by a first-round appearance in Hong Kong. 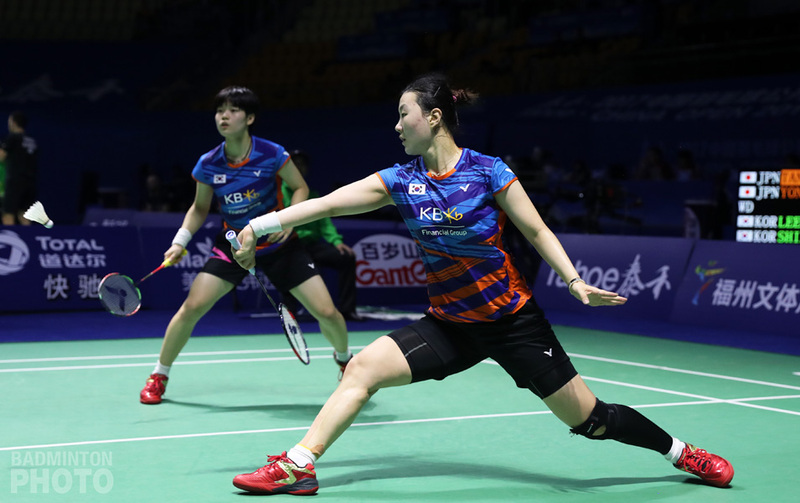 French Open winners Lee Jhe-Huei / Lee Yang will have mathematically clinched their spot in the Superseries Finals by Wednesday evening, provided they don’t withdraw from the tournament. By the same time, their compatriots Wang/Chen will be out of the race if Hoki/Kobayashi have also shown up to play. Takuro Hoki / Yugo Kobayashi were the only other new entrants to the Dubai list last week, apart from Huang/Yu in the women’s doubles. They were past Hendra Setiawan / Tan Boon Heong (pictured above) once they reached the Hong Kong quarters. Unfortunately for the Japanese #2 pair, they have the world #1 pair standing in their way in the second round and it will be very difficult for them to accumulate many points in Hong Kong. The good news is that if they can win their opening match, they will be down to three chasing pairs having to reach the semis to catch them. Mixed doubles may have a long list of chasers but it is one of two disciplines with exactly one spot not yet clinched. 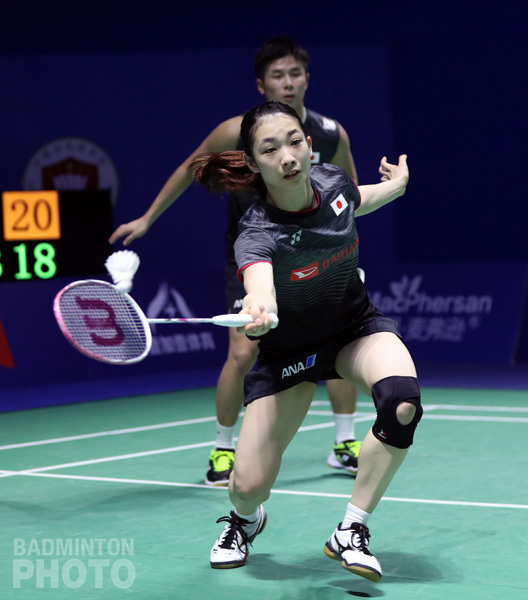 Furthermore, Kenta Kazuno / Ayane Kurihara may have lucked in before the Hong Kong Open has even started as the withdrawal of World Champions Ahmad/Natsir. With no seeded pairs in their path to the quarter-final, even were they to fall in the final 8, only a champion in Hong Kong would be able to catch them. On the other hand, Hong Kong champions are exactly what Lee Chun Hei / Chau Hoi Wah (pictured top) will be keen to become at long last. It was four years ago that they were in the semi-final at home and two years since their first and only Superseries title but they have been in the final four at the Worlds, the Asian Championships and earlier this month at the Macau Open so there is no question they have the potential to get back to the top of the podium. The latest mixed pair to clinch their Dubai spot was actually Lu Kai / Huang Yaqiong. 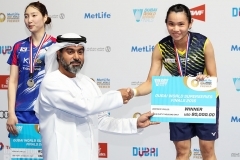 That happened the instant Wang Yilyu / Huang Dongping (pictured above) lost their semi-final match in Fuzhou, as the latter’s only chance at catching their compatriots and qualifying for Dubai as the 2nd pair for China was to win the last two Superseries events. However, they are still firmly in the top 8 and could still go to Dubai if the Chinese team were to elect to keep one or both of their now disbanded pairs at home. Women’s singles is really a two-horse race. Carolina Marin became the 7th sure thing as soon as Saina Nehwal lost her 2nd round match in Fuzhou. 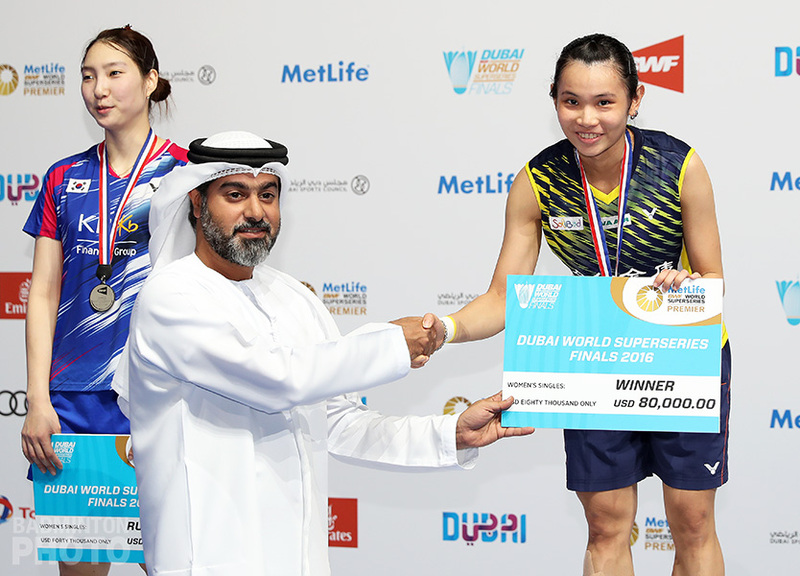 The 8th spot, currently belonging to He Bingjiao (pictured), is the only Dubai ticket not yet mathematically clinched and as soon as she appears on court on Wednesday, her only challenger will be compatriot Chen Yufei. For Chen Yufei (pictured below), not only does she have tough opponents like Saina Nehwal and Tai Tzu Ying in her quarter, but her team-mate He need only reach the quarter-final of the Hong Kong Open before she’ll be assured of passage to Dubai. On the other hand, He Bingjiao’s first opponent, Zhang Beiwen, has beaten her already this year and Thailand’s Busanan Ongbamrungphan is no pushover either. † In the above analysis, I am using a conservative definition of ‘clinch’ – marked on the table in bold, green italics – that entails a top 8 player having enough points to be out of reach of the 9th place player or pair even should the latter win the last title and the former be unable to play in the first round in Hong Kong. I have shown in bold green the 8 players and pairs who would qualify were the Superseries to end after the first 11 tournaments. I have shown in grey the players or pairs who cannot catch one of the current 8 qualifiers or who cannot catch either of two qualified compatriots. Finally, I have displayed an x if a player or pair has withdrawn from or not entered the Hong Kong Open. An asterisk (*) denotes a player who can only qualify by beating out a currently qualified compatriot. The numbers are based on calculations to include points earned from the China Open but the official Superseries standings will be available later in the week from the BWF website. Looking forward to Dubai finals. Great. It seems you will soon know who is playing there. On the first day of mixed doubles in Hong Kong, we went from 9 pairs down to exactly one. Only Wang Chi-Lin and Lee Chia-Hsin have a chance of catching Kazuno/Kurihara now.